Home / Articles / Why Uniforms Are Important? There are various jobs and work places that want their workers to wear uniforms. They include military soldiers, pilots, forest officers, flight attendants, fire fighters, nurses and doctors, security guards along with many others too. A uniform means a set of typical fashion clothes worn by members of a particular company or organisation while working in that organisation. There are many types of uniforms for every business firm. Such as kitchen uniforms for chefs, hotel uniforms for waiters and stewards, work smocks for labours etc. Uniform also entails being the same in design pattern, and without any dissimilarity. If the work clothes of the workers of a specific company or an organisation match, then there is a sense of unity which builds up between them. Uniforms also represent team spirit, and this has been this way throughout, right from the days of the Roman Empire to the modern day. Many people still don’t know, what is the reason for wearing uniforms at work places? Why some work place does necessitate that their workers wear uniforms? Why allocate so much importance to uniforms when it’s the professionals who do the working not the uniforms? Here are some explanations to wear uniforms at the work place as far as some jobs are concerned. Currently wearing uniform is a general thing with the organisations like police and the defence forces and others. Uniforms help them to stand out from the ordinary public so that they can be easily identifiable and also discriminate them for the work that they perform. Specific uniforms or work clothes not only make them feel proud but also have an impressive strike on others and it can change the mood of people around. There are some companies which pay attention on the consumer, like the department store, restaurants or hospitals. These companies insist that the workers should appear united and willing to help the consumer, so the role of the uniform turns important. When the workers of such departments are wearing a pleasant uniform like Smocks the consumers approach them more confidently. If the workers are dressed in the similar attire at the place of work then they share a sense of camaraderie. Uniform puts each one on an equal platform, despite how wealthy or poor they are. 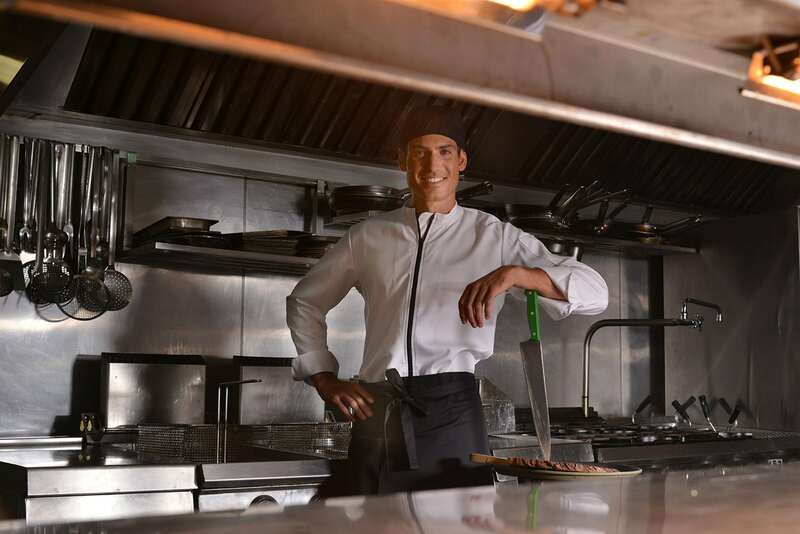 In hotel, chefs or cooks also have kitchen uniforms to wear in order to get recognised with the class of profession they belong to in the hotel. Whether you are working as a chef in fast foods cafes or restaurants or in the McDonalds, you need to wear specific uniforms according to your job profile. As Aris Uniforms we have an online store available that deal with different types work clothes. It is beneficial to buy online instead of visiting stores because it saves lots of money as well as your precious time too. We are a Cyprus based manufacturer and retailer of uniforms for work. We design Chef, Hospitality, Corporate, Medical, Beauty & Spa collections and we also carry a wide selection of global clothing brands to outfit an organization and the individual.